Our new live chat feature enables you to instantly get answers to any query you may have regarding vehicle hire with Dash Drive including on-the-spot guidance on which vehicle is right for your needs. And what’s more, it won’t cost you a thing to use. 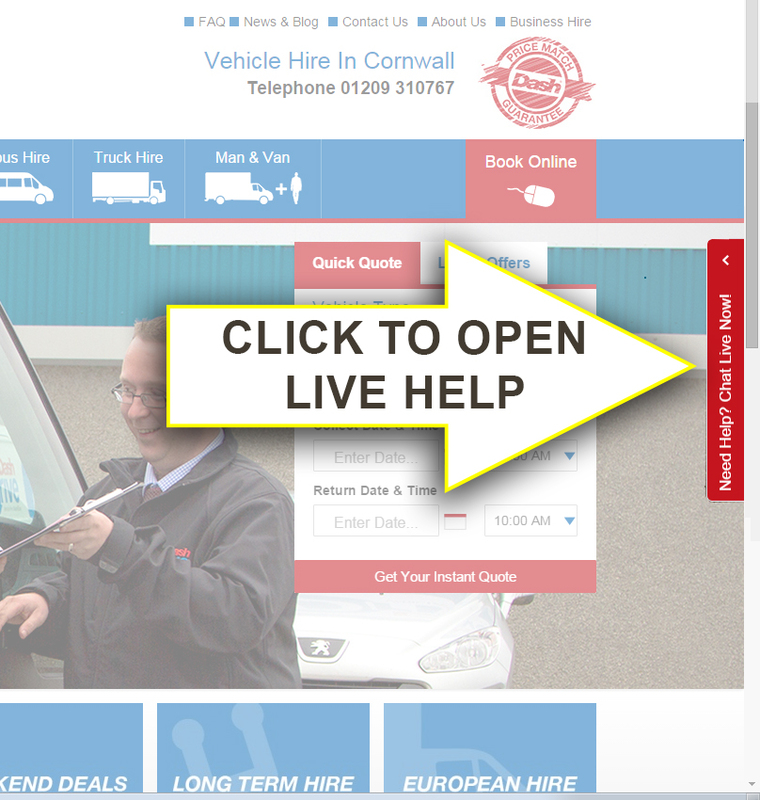 To receive live help, simply click the red bar at the far right of your screen and the live help dialogue box will open. Type your query and we will answer straightaway. The live chat is being manned during our normal office hours but outside of these times it will magically transform into a quick and simple contact form.